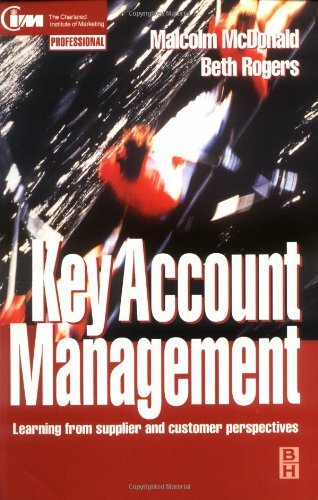 Amazon.com description: Product Description: Key account management is a natural development of customer focus and relationship marketing in business-to-business markets. It offers critical benefits and opportunities for profit enhancement to both sides of the seller/buyer dyad. Based on extensive and unique research by Cranfield School of Management, Key Account Management presents a new framework for understanding the development of key account relationships. It incorporates a comprehensive guide to the current practice of key account management, and comments on the challenges for the future of key account management practice. The research was based on in-depth interviews with key account managers, their managers and their main contacts in the customer organization. About: Key account management is a natural development of customer focus and relationship marketing in business-to-business markets.